Callao Cave on Luzon Island, Philippines, where the fossils were discovered. Photo courtesy of Callao Cave Archaeology Project. A new member of the human family has been found in a cave in the Philippines, researchers report today in the journal Nature. 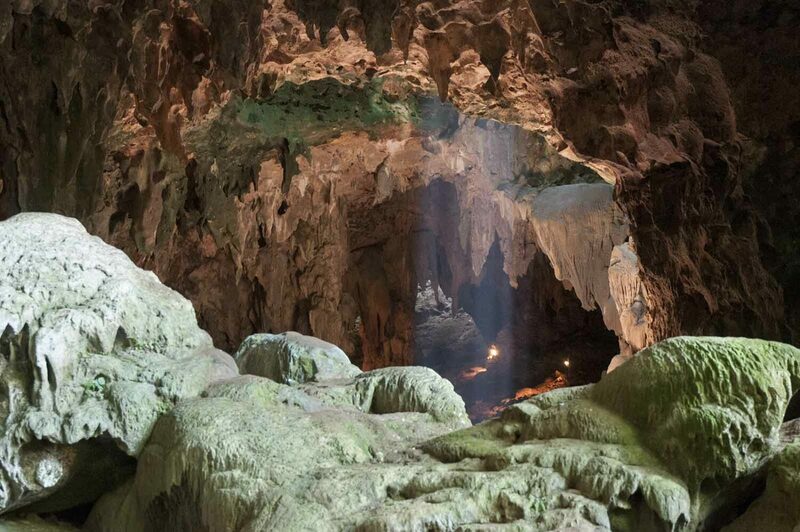 The new species, called Homo luzonensis, is named after Luzon Island, where the more than 50,000-year-old fossils were found during excavations at Callao Cave. This species lived at the same time that the small hominins named Homo floresiensis or “hobbits” lived on the Indonesian island of Flores. This discovery makes Luzon the third Southeast Asian island to show evidence of unexpectedly ancient human presence. Photo credit: Callao Cave Archaeology Project. The researchers uncovered the remains of at least two adults and one juvenile within the same archaeological deposits. Some of the newly discovered fossils share similar features with other species in our genus Homo. “The fossil remains included adult finger and toe bones, as well as teeth. We also recovered a child’s femur. 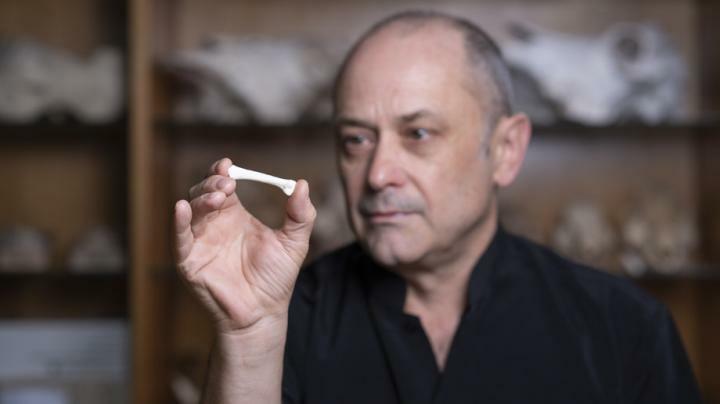 There are some really interesting features – for example, “the teeth are really small,” says lead author Philip Piper from The Australian National University. In shape and size, some of the fossils match those of corresponding bones from other Homo species. 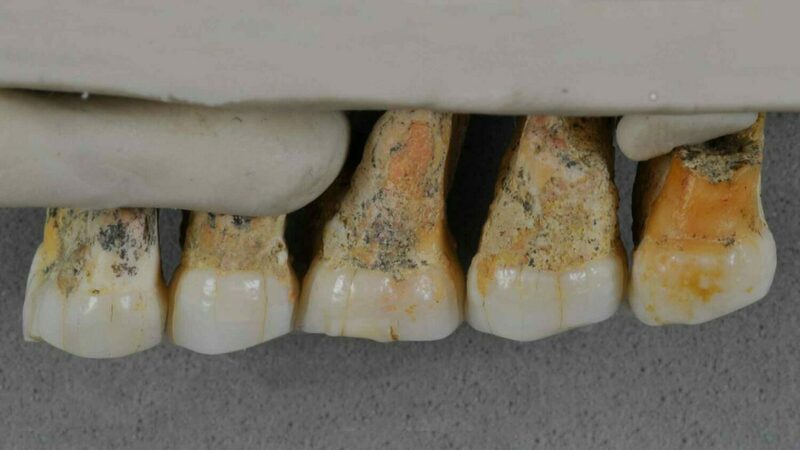 “The size of the teeth generally, though not always, reflect the overall body-size of a mammal, so we think Homo luzonensis was probably relatively small. Exactly how small we don’t know yet. We would need to find some skeletal elements from which we could measure body-size more precisely,” says Piper. Photo credit: Lannon Harley, ANU. 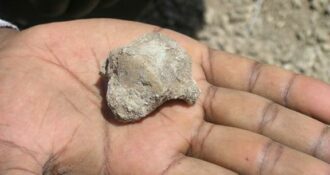 “No hominin fossils were recovered, but this does provide a timeframe for a hominin presence on Luzon. Whether it was Homo luzonensis butchering and eating the rhinoceros remains to be seen,” says Piper. If you are a paleoanthropologist or paleoanthropology student from East or Southeast Asia, please apply for our Baldwin Fellowship funded by the National Geographic Society. Click here for more information.